WASHINGTON—With incentives provided by the Tax Cut and Jobs Act, investors are eager to deploy money into opportunity zones, which are designed to bring investment and jobs to economically distressed areas. The opportunity zones project has the potential to become the nation’s largest economic-development program. By offering substantial tax breaks, this new program encourages private funds to invest in poor communities. The Treasury Department recently certified 8,700 low-income community census tracts as qualified opportunity zones designated by governors. According to accounting and consulting firm KPMG, 73 percent of these zones are urban and the rest are rural. Many funds have already been set up and raising money to target this new asset class. And real estate funds are likely to be the first movers on this opportunity, according to experts. JMA Ventures, a full-service real estate development firm based in San Francisco has already raised money to invest in opportunity zones and will launch another fund in January. These funds will be deployed in real estate projects in these distressed communities. According to Werrett, this new asset class is very attractive for both established and new investors. Hence a lot of funds are raising money to get into the game. The program “has the ability to kick-start development in some of these areas that some developers might have been shy about in the past,” he said. U.S. investors hold more than $6 trillion in unrealized capital gains in stocks and funds, a significant potential capital eligible for reinvestment in these zones. The program offers three tax benefits for investing in low-income communities. First, it allows investors to defer taxes on any prior capital gains if the gains are reinvested in a qualified opportunity fund, an investment vehicle organized to make investments in opportunity zones. Second, it provides a step-up in basis (value of an asset) for capital gains. The basis is increased by 10 percent if the investment in the opportunity fund is held for at least five years, and an additional 5 percent if held for at least seven years. This allows exclusion up to 15 percent of the original gain from taxation. And the third benefit is the tax exemption on capital gains from the sale of an investment in an opportunity fund if the investment is held for at least 10 years. In October, the Treasury rolled out guidance on how investors can qualify for the special tax breaks by investing in these zones. The department will release additional guidance before the end of the year. According to the guidance, once capital gain is triggered, an investor has 180 days to roll the money over to an opportunity fund. 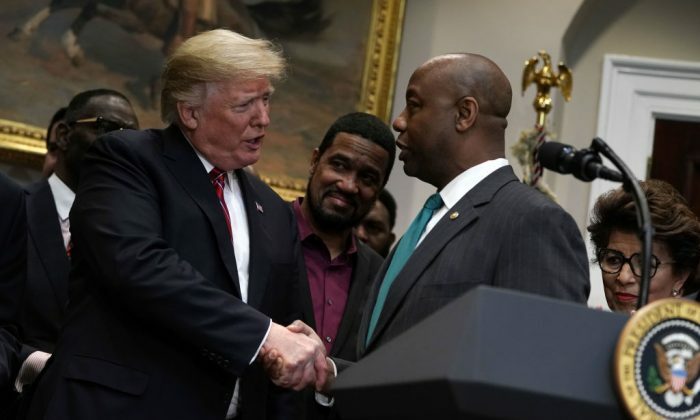 The fund then has another 180 days to invest in an asset or a project in an opportunity zone which may include commercial and industrial real estate, housing, infrastructure, and established and start-up businesses. However, certain types of businesses are excluded from investments. The funds cannot engage in a so-called “sin business,” which includes golf courses, country clubs, massage parlors, hot tub facilities, suntan facilities, racetracks, gambling facilities, and liquor stores. “This program is about doing good and doing well,” Marra said. To qualify for the program, an investor has to make a substantial investment to improve the building purchased, for example, he explained. “Tax reform back in the 80s” tanked the real estate business because “there were incentives put in place that allowed” investors to do “non-economic real estate deals and get really good tax benefits,” he said.